TUESDAY, Nov. 13, 2018 (HealthDay News) -- There's bad news for heart failure patients with dilated cardiomyopathy who'd like to stop taking their meds. Any progress they've seen on medication is likely to fade once they stop taking their heart drugs, new clinical trial results show. 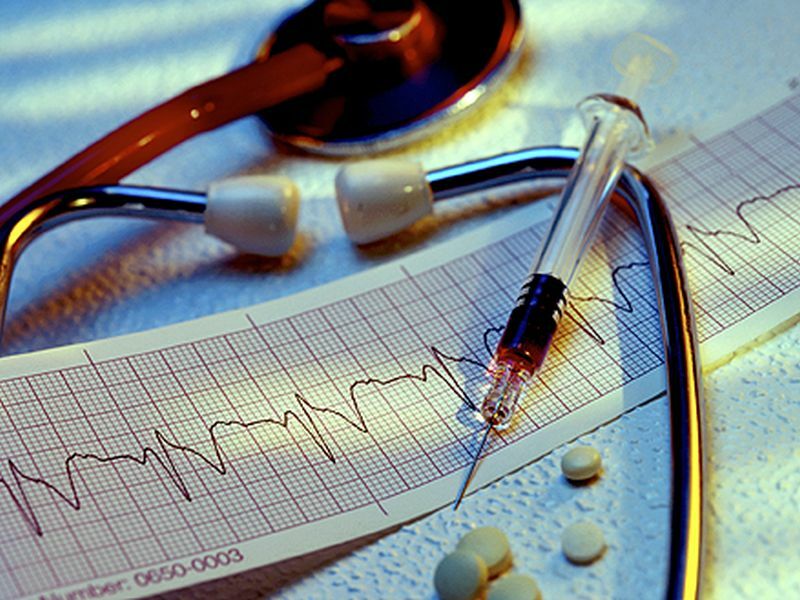 About 40 percent of a small group of patients wound up back on their medications after their heart function faltered, said lead researcher Brian Halliday. He's a cardiovascular research fellow with Imperial College London. "Improvement in function represents remission rather than permanent improvement for many patients," Halliday explained. The hearts of people with dilated cardiomyopathy can't pump strong enough because the left ventricle of their heart has become stretched out and thin-walled. Several different types of medications -- diuretics, beta blockers, ACE inhibitors and mineralocorticoid receptor antagonists (MRAs) -- can help the heart beat improve. But these drugs can place a financial strain on patients and come with a host of side effects, Halliday said. Patients with recovered heart function often ask whether they can drop their meds. To see whether this could be possible, Halliday and his colleagues recruited 51 heart failure patients to have their heart meds gradually withdrawn. The patients received regular clinical reviews, followed by an evaluation at six months. Around four out of 10 patients relapsed during the drug-withdrawal period, and had to be placed back on medication immediately. "They did seem to recover when we put them back on medications very quickly," Halliday said. About half of patients completed the follow-up period without needing to go back on meds, the researchers reported. The findings were presented Sunday at the American Heart Association annual meeting, in Chicago. Such research is considered preliminary until published in a peer-reviewed journal. These results show that "we should tread lightly" when patients ask to be taken off their heart medications, said Dr. Jane Wilcox, an assistant professor of cardiology with Northwestern University's Feinberg School of Medicine, in Chicago. For the patients who relapsed, their heart failure came back "within just eight weeks of withdrawal of medication. Eight weeks. Two months," Wilcox said. "The question of recovery versus remission has potentially been answered by this pilot study. Currently, in 2018, we have no true signature of recovery," Wilcox said. "These patients indeed are in cardiac remission." Dr. Donald Lloyd-Jones is chair of preventive medicine at Northwestern. The study helps inform "an incredibly important clinical question that comes up all the time," he said. "It does push us down the path of trying to understand better which patients in the future we might want to select for withdrawal of drug therapy, because no patient wants to be on more medications than they need to be," Lloyd-Jones said. "For the time being, this class of patients is going to have to maintain their medications until we understand more." What is heart disease (coronary artery disease)? Symptoms of heart disease include chest pain and shortness of breath. Explore heart disease diagnosis, treatment, and preventing heart failure.